There are many helpful marriage counseling resources available, but remember there are no tools or techniques that have the power to heal hearts that are unwilling to yield to the Lordship of Jesus Christ. Research shows over 50% of marriages end in divorce and over 70% of second marriages end in divorce. With statistics like that there’s a real need for quality Christian marriage counseling. If you count couples that separate and never get divorced, the numbers are even more abysmal…66%! Couples tend to wait far too long before getting help. Unfortunately many couples never enter into couples counseling until they have already crossed the point of no return. The reality is more marriages are failing than are succeeding. If we look at the positives…that is who’s succeeding in marriage, according to Neil Clark Warren’s data, only 25% of couples endure and state that they are truly happy! What can you expect from Marriage Counseling? First of all, you can expect that your counselor has a method or approach for helping couples to positively resolve their marriage issues. In fact, you should ask what the counselor’s approach is so you can be confident that there is an approach. What you don’t need is mediation every week while you and your spouse duke it out (so to speak) in your counselor’s office. I have talked to many people who report that their counselor just let them talk (or argue) for an hour, while they nod their head, reflect what was said and reschedule. 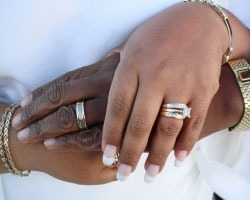 If you are having marriage difficulties you need a counselor who is proactive. A proactive marriage counselor will give you practical tools. She will also have the skill to lead you to insight and understanding about the nature of your struggles. Being proactive means your counselor can help create an atmosphere which will optimize your chances of improving and saving your marriage. It is done through an in-depth interview with the couple, sometimes over a series of sessions, both together and individually with your counselor. Another method your counselor may use is a series of inventories. These can provide a lot of helpful data for you and your counselor. They can also help you get a good grasp of the marriage problems relatively quickly. The quicker the problems are identified the sooner you can get working on what’s really important, IMPROVING YOUR MARRIAGE! Good Christian marriage counseling will help you to identify and eliminate problems, and develop new skills. But most importantly, Christ centered marriage counseling will help you to live out the gospel of grace in your marriage every day. Marriage counseling issues tend to run the gamut, but at the core there are some pretty general marriage problems that tend to be common to many couples. This entry was posted in Marriage Help and tagged Counseling, Relationships, Resources on February 8, 2014 by Jean L.